D’Arcy Motors understands how much our community means to our business, which is why we make it a point to constantly give back to the Joliet area on a regular basis. These efforts have not gone unnoticed over the past few years either. Recently, D’Arcy Motors was the recipient of a Herald-News Best of Will County 2016 Readers’ Choice Award. For the award, local residents in Shorewood and Plainfield were able to choose the best companies out of 60 categories. Voting lasted for the entire month of September, and voters were allowed to vote once per day for their favorite businesses. D’Arcy Motors is excited that we were named a Best of Will County winner in the Automotive category. Only three winners were selected in each category, which means D’Arcy Motors is the best of the best in the local community. Aside from our great customer service, we believe we earned this award due to the consistent effort we make in our local communities. 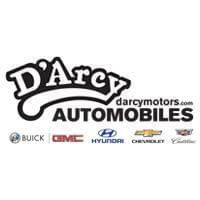 D’Arcy Automobiles supports hundreds of local organization throughout the year, from youth sports to churches to helping the elderly. Thanks to our partnerships, we have created long-lasting relationships with plenty of other organizations throughout the Joliet and Shorewood areas. One of the most recent organizations we supported was the Spanish Community Center. 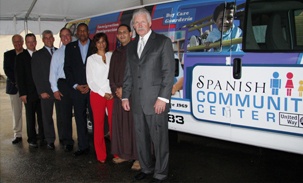 Terry D’Arcy and Will County State’s Attorney James Glasgow partnered to present the Spanish Community Center with a new van, which will be used to help transport clients to their services and programs. During the month of October, D’Arcy presented a check for $100 to cancer research for every vehicle sold during the month. 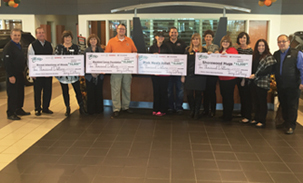 At the end of the month, we presented three different cancer organizations with donations totaling $40,000. 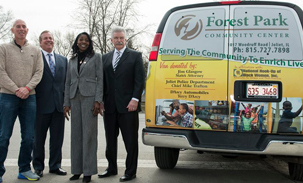 Recently, D’Arcy donated two vans to the Forest Park Community Center. This organization provides assistance and help to individuals in the community, so providing them with reliable and much needed transportation was an honor for our company. Aside from these three organizations, there are many others that we help and support throughout the year. Visit our website to learn more about our efforts. D’Arcy Motors is proud of our commitment to the local communities, and we want to continue helping those that make our communities great. Visit our Buick GMC, Hyundai, or Chevrolet Buick Cadillac dealerships to see our great inventory of vehicles. You can also contact us online to schedule a test drive, apply for financing, or simply learn more about our dealership and our community involvement efforts. Discover the D’Arcy Difference today and see for yourself why we deserve the Best of Will County Award.